7 Best Essential Oils for Bug Bites (Mosquito and Other Insects)! Best Essential Oils for Bug Bites (Mosquito, Fly, Bed Bug and other Insects)! I guess you are here because you are looking for the best essential oils for bug bites. Not only will I discuss the best essential oils you can use for relieving bug bites in this post, but I will also provide a couple of DIY recipes for you. Summertime means bug bites. Whether it’s from a fly, mosquito, or other bugs, there really isn’t a way to avoid getting bit if you spend time outside. Luckily, nature has provided her own relief in essential oils. These seven essential oils work by helping to relieve itching and pain, reduce swelling, and prevent a secondary infection from scratching due to their antibacterial properties. You can use these essential oils by themselves or in a blend by combining one or more of them. After you learn about the benefits of each essential oil, learn how to use them in two different recipes. Most of these essential oils for bug bites also repel bug bites, so if you make one of the two recipes at the bottom of the page, you can also use them to repel bugs. 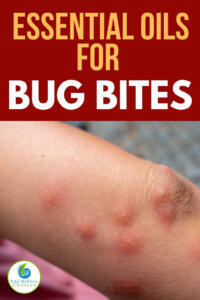 Just apply them before you go outside to repel bugs. If you do get bit, apply it again directly to the bug bite for relief. Is it any surprise that lavender essential oil is at the top of this list? Lavender is a favorite essential oil for the skin because it has so many benefits. Lavender is naturally antibacterial, so it can help prevent a secondary infection from scratching the bug bite. It’s also anti-inflammatory to help reduce swelling. 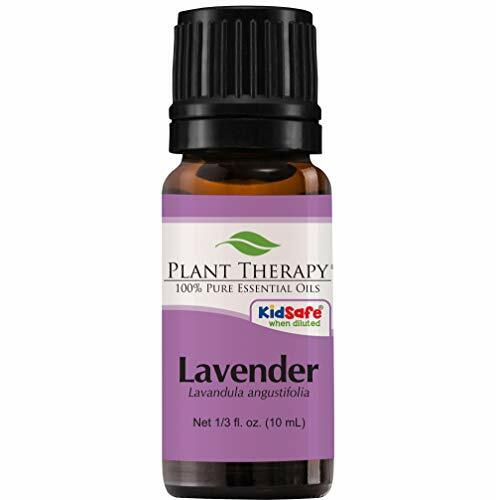 Lavender essential oil can also act as a natural analgesic, so it can help reduce the pain from bug bites. Couple its natural ability to reduce pain and its calming properties, and this is one of the best essential oils for bug bites. Basil is nature’s natural itch relief. It can help prevent a secondary infection because it’s antibacterial and antifungal. 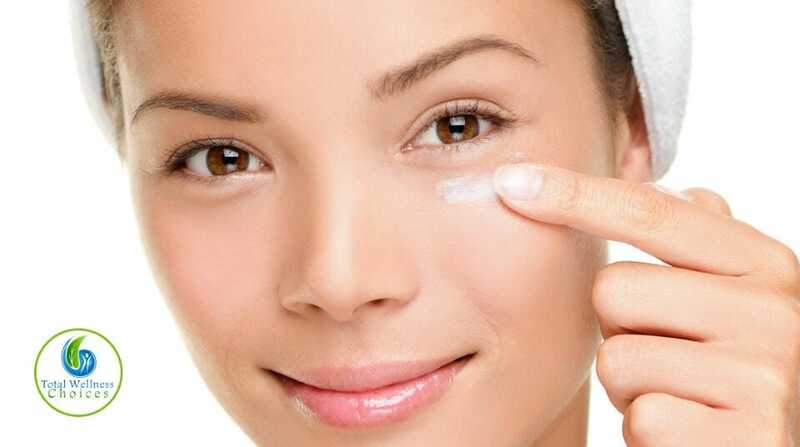 It’s also said to speed up healing and reduce irritation when applied topically. Basil is also an insecticide, so it can help repel future bug bites after you apply it. Peppermint EO creates a cooling sensation on the skin that feels good on bug bites. 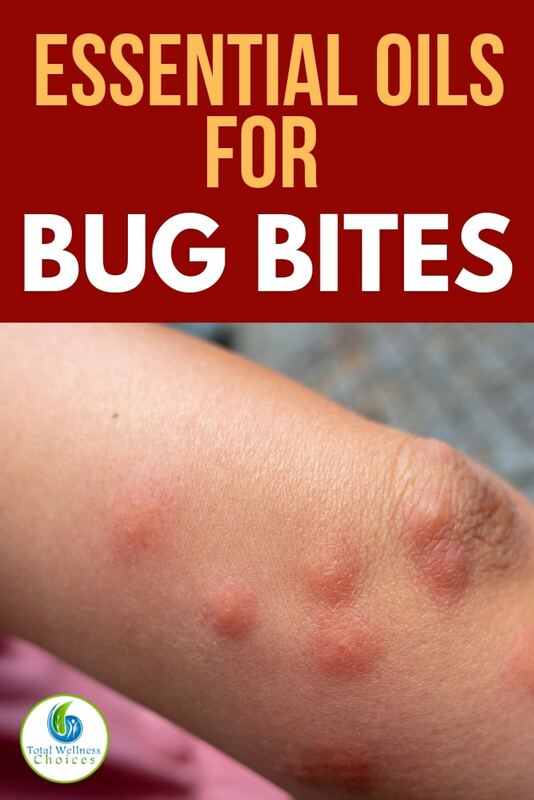 It can also help reduce itching, pain, and swelling from bug bites. Like most of the oils on this list, peppermint is also antimicrobial to prevent the bug bite from getting infected. 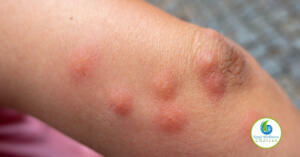 Peppermint essential oil is also a natural bug repellent, so it, too, can help repel bugs when you apply it topically. Camphor essential oil is great for itchy bug bites because it warms the skin. 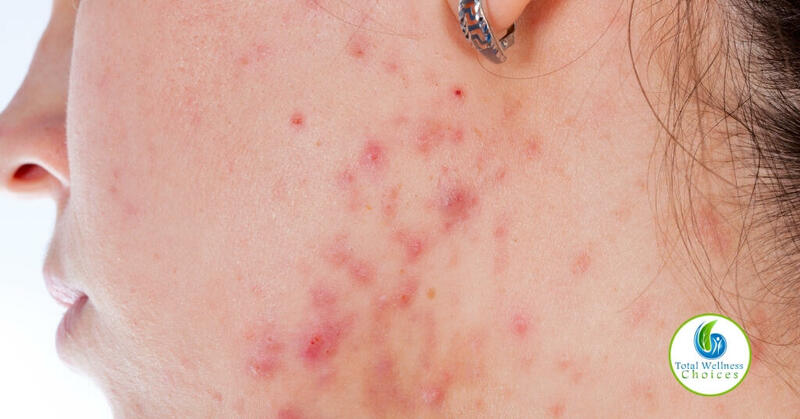 When your skin gets warmed, you won’t feel the itching as much. But don’t use camphor for bug bites that sting or burn because it can cause the stinging and burning to get worse. 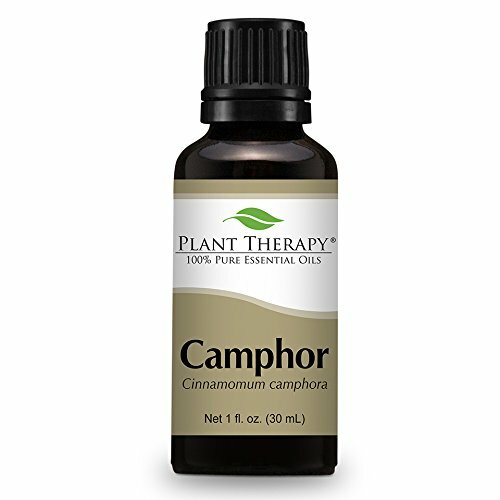 Camphor essential oil is anti-inflammatory and antimicrobial to help prevent a secondary infection from scratching. Tea tree oil is probably the most common antiseptic essential oil. 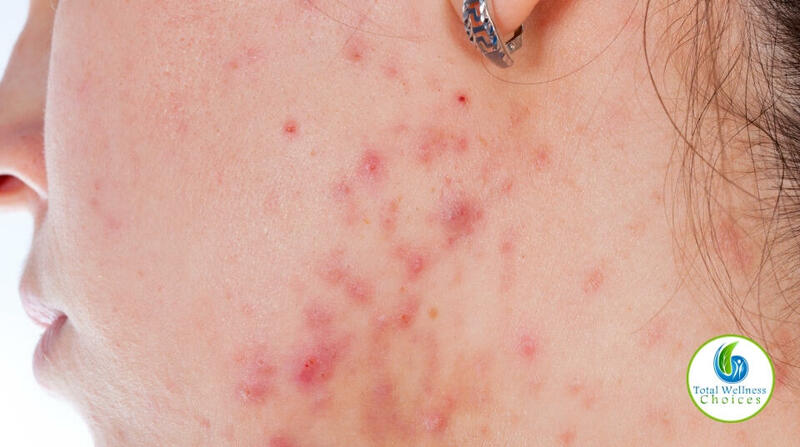 It can kill bacteria and fungi, so it’s commonly used on wounds. 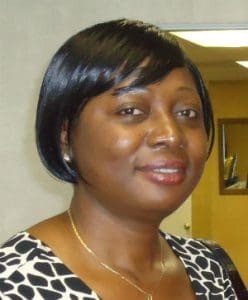 Tea tree oil is said to act as an antihistamine, so it can reduce the reaction that your body has to the bug bite, which reduces itching. Chamomile EO, like the tea, is calming. This essential oil can help relieve pain and reduce stress from its aromatherapy benefits when used topically. Like most of the other oils in this list of best essential oils for bug bites, chamomile is anti-inflammatory to reduce swelling. It’s also said to help blemishes and bug bites heal faster. 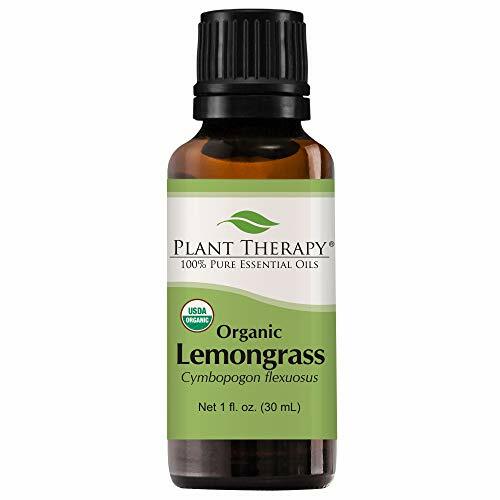 Lemongrass essential oil both repels bugs and helps relieve the symptoms from bug bites. It’s naturally antimicrobial to prevent a secondary infection from scratching. It’s a natural anti-inflammatory to reduce swelling. The smell of this essential oil also helps you relax. There are several ways to use essential oils for bug bites. By using one or more oils topically, you can reduce pain, swelling, and itching. No matter which essential oil you use, it’s recommended that you dilute it with a carrier oil first. For most oils, you can use up to 6 drops of essential oils per tablespoon of a carrier oil. You can use any carrier oil to dilute essential oils. Popular carrier oils to dilute essentials with are fractionated coconut oil, sweet almond oil, or coconut oil. Make one or more bug bite relief essential oil roller bottles so you always have your oils diluted and ready to apply to a bug bite. You can use most carrier oils in this recipe. Fractionated coconut oil is a good choice because it is lightweight and clear. Sweet almond oil and sunflower oil are also good carrier oils to use for roller bottles because they soak into the skin quickly. Add up to 20 drops of essential oils to your roller bottle. You can use a single oil or combine two or more of the essential oils listed above. Fill the bottle with your choice of carrier oil. Dab the roller bottle directly onto bug bites for relief. If you’d rather have a solid lotion stick to treat bug bites, try this bug bite relief solid stick. It’s easy to apply, and it won’t spill in a bag or purse. Weigh the beeswax, carrier oil, and shea butter. Melt in a double boiler, stirring often. Carefully remove it from heat and let cool to 180 degrees or less. Add 40 drops of essential oils and stir well. Pour into lip balm tubes or a kraft paper tube. Let sit until cooled. These best essential oils for bug bites can help reduce inflammation and pain. Many of these essential oils also help repel bugs, so using them for bug bites not only helps your skin heal, but it also helps prevent future bug bites. Do you know of other essential oils for bug bites? Feel free to add to the list in the comment section. This post is for educational and informational purposes only and does not intend to diagnose or treat any diseases.